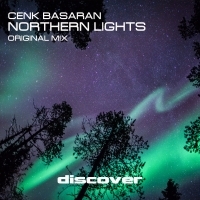 Cenk Basaran is back on fire again with Northern Lights and once again he has nailed it. A pulasating bassline and clever percussive fills pepper the build which soon moves firmly into the epic trance arena with massive chords that drop into the break with hypnotic style. Definitely one for the purists as Cenk once again gives us a five star lesson in big room trance. 'Northern Lights' is available now from Beatport and iTunes.